Built of wood by Archie White at Goldsmith’s Yard, Grays, HENRY was the last sailing barge to be built there. She was launched in 1904 for Cole and Lecquire, corn factors and seed merchants of Grays, Essex, and her name derived from Henry Cole, one of the founders of the firm. She was a stackie – with considerable flare to her sides to increase the volume of her load, and sometimes carried up to fourteen loads of straw from the jetty at Grays to Limehouse or Greenhithe. Apart from Cole and Lecquire’s own corn and stack cargoes she also worked in grain from the maltings at Grays and Barking to the London Docks for shipment by the Irish packets to Guinness at Dublin. HENRY also took malt to Watney’s Mortlake brewery and carried imported barley from the docks to Seabrook’s brewery at Grays. 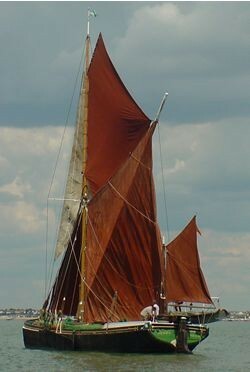 Her skipper from 1904 until the start of World War II was Arthur Bannister, who had started at the age of eleven as third hand with his father in a barge belonging to Curtis of West Thurrock. He was one of ten children and three of his brothers were lost from sailing barges. Arthur’s son Joe was mate in Henry from 1909 to 1914. HENRY was a small barge and became her owners’ favourite: the younger members of the family often went away in her for a sailing holiday. She was always well kept and smartly painted - even the hold lining was decorated with blue above and red beneath, and the painted graining on her woodwork was a speciality of Arthur Bannister. In the World War II she, like many barges, was requisitioned for mine-watching duties and usually lay off Swanscombe. 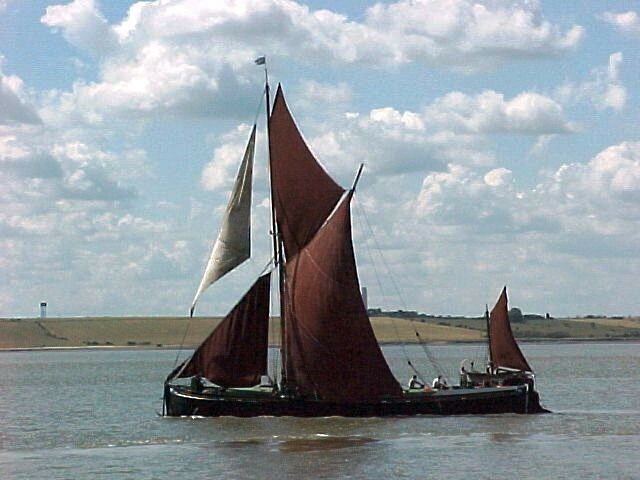 She was listed as a War Department sailing barge named HENRY OF LONDON. Her condition deteriorated and by the time she was released from these duties in 1943 she was fit only for breaking up or rebuilding. Reluctant to lose their favourite, the owners decided on the latter course of action, and she was towed to Milton Creek for rebuilding in 1944 by the Sittingbourne Shipbuilding Company. She left Sittingbourne on 8 February 1945, to all intents a new barge, to load English wheat at Grays for Empire Wharf, Erith. When Cole and Lecquire had no freights of their own she took loads wherever it was offered on the London River and around the Kent and Essex coasts. However in this period after the war the grain trade was slack, and HENRY, the last barge to be owned by Cole and Lecquire, had become uneconomic because of her size. In 1995 she was bought by Justin Ford and was taken in hand at Faversham in 1996 when new frames were fitted at the stem and stern with steel futtocks tied back to the steel keelson (which had been fitted along with steel chine keelsons in the 1940s.) The wartime Perkins engine was replaced with a Ford D series marine diesel, and HENRY motored up to Lowestoft, where she stayed for three years. 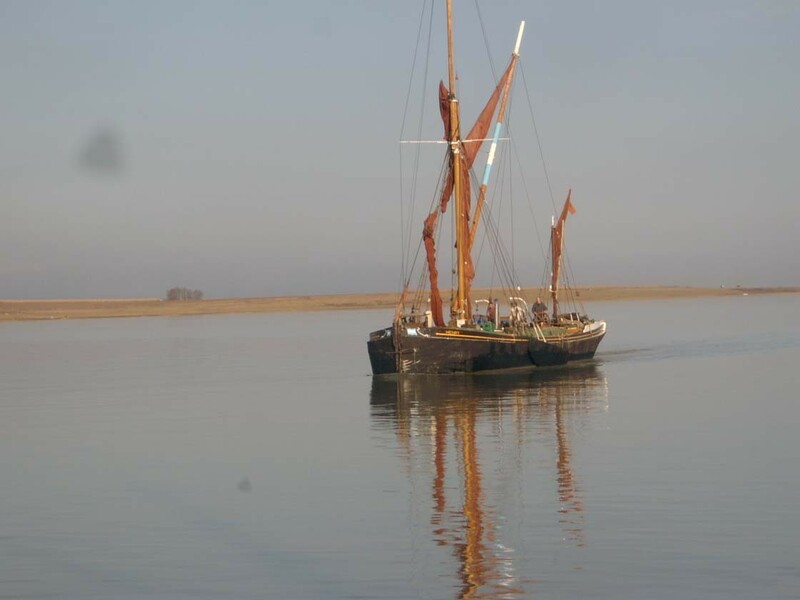 She motored back to Faversham in 1999 for further rebuilding and re-rigging at Standard Quay. 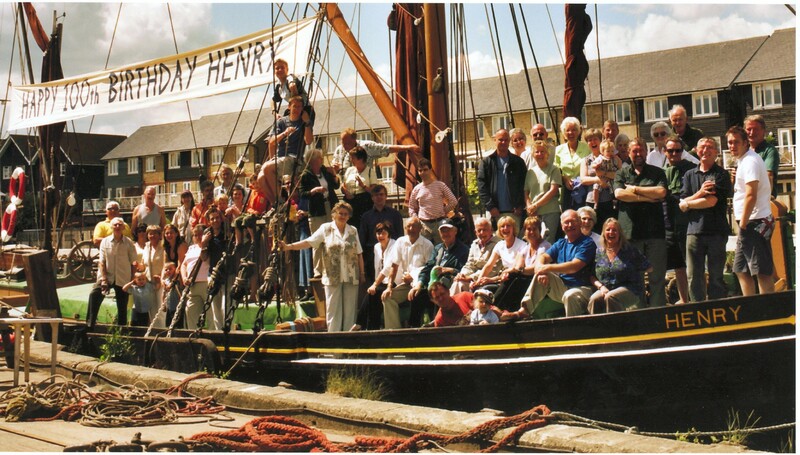 HENRY is now restored to sailing order for use as a private yacht. She had her centenary celebrations with all the previous owners on board.